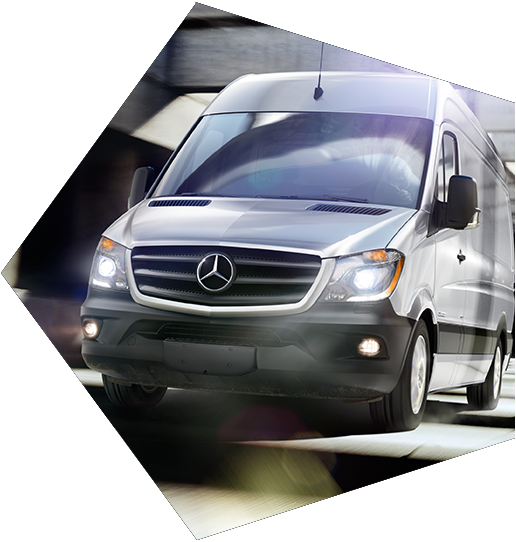 The Mercedes-Benz Sprinter van is among the most popular commercial vans in the world. Its durability and flexibility allows it to meet the needs of many different customers. 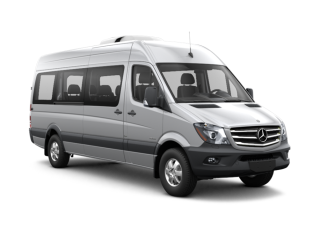 The Sprinter is available in five models: cab (cutaway/chassis used as foundation for customization), Cargo (two front passenger seats with empty cargo area), crew (accommodates up to five passengers with seats), passenger (accommodates up to 12 passengers), minibus (transport up to 19 passengers with customizable seating arrangements). 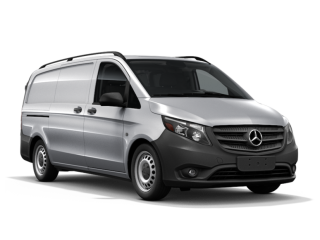 The newest Mercedes-Benz van is the mid-sized Metris. 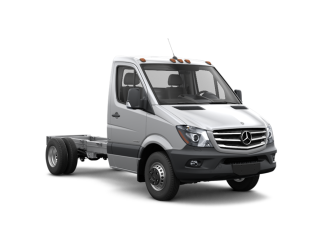 This smaller, easier-to-handle version of the Sprinter is available in cargo or passenger versions. Customizing a vehicle usually requires a special order. This is absolutely possible if you’re willing to wait a few months. We special-order vehicles all the time. 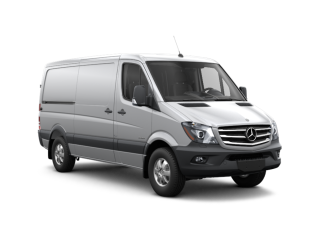 Sprinter Vans are available in a variety of roof heights and wheel bases. And a new all-wheel version makes it easier to haul passengers and cargo through rough terrain and bad weather conditions. 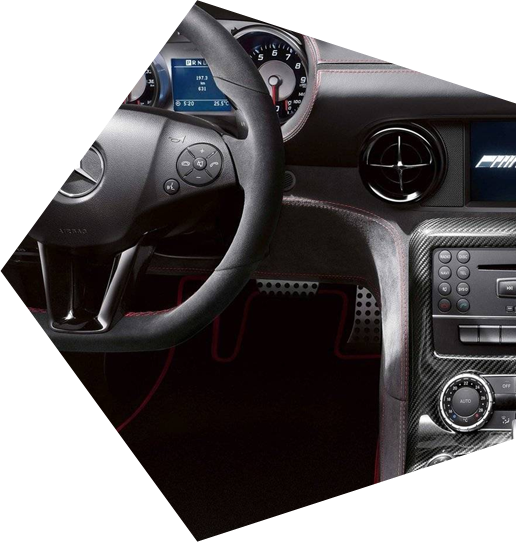 Customizations are also available after purchase through a Mercedes-Benz MasterUpfitter. These experts can customize vans to meet various needs by adding racks, rails, bins, seats, generators and other equipment. 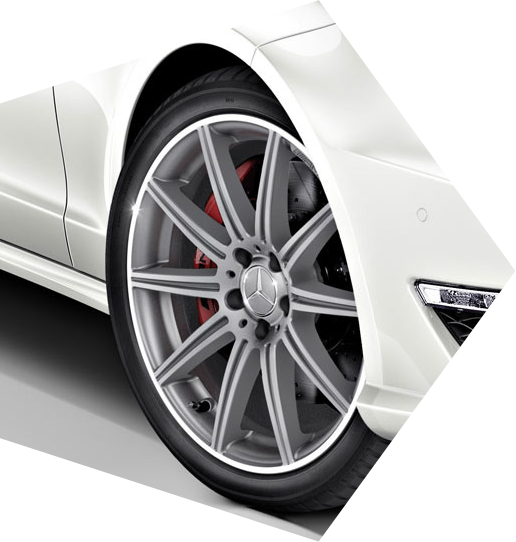 You can search for an upfitter by visiting the Mercedes-Benz MasterUpfitter Portal. 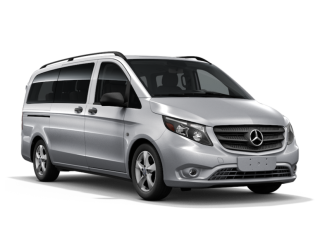 Buying or leasing a Mercedes-Benz van can be easy with a variety of financing options designed to suit your needs. Our financing experts can develop a payment program that is tailor-made to meet commercial client requirements. Opt for traditional financing, various leasing options, balloon payments, seasonal adjustments, and deferred payments. 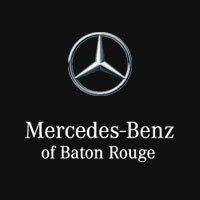 Benefits of choosing Mercedes-Benz Financial Services for van purchase include: competitive rates, up to 100% financials with no down payment required, flexible repayment terms including extended terms, used equipment, financing, line of credit for future purchases, easy applications, simplified documentation, online account management, consolidated billing. Your staff helped me select the perfect van for my catering business. The personal service was greatly appreciated! Our Sprinter van has transported everything from construction materials to equipment to people, often in rough environments and conditions. I swear this thing is indestructible.